Along with William Boyd, David Mitchell has to be my favourite writer. Just like Boyd, his books are intelligent, fantastic (in the creativity sense) and impressively researched, and this novel is no exception. 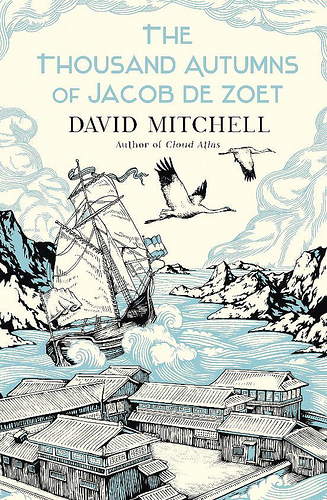 In fact the story is full of Japanese, Dutch and English characters who are so well written that at times I felt I’d been watching a film, so strong were the images in my mind. Mitchell writes so convincingly, it’s like he was there somehow…. I saw him on BBC Breakfast the other week and he described how it took him a whole day to research and write a short passage about the simple act of shaving and that kind of commitment shines throughout the whole novel. So if you like historical yarns, full of detail, love, honour, double crossing and Japanese culture, with enough twists and turns to keep you reading to the end, I cannot recommend this book highly enough.